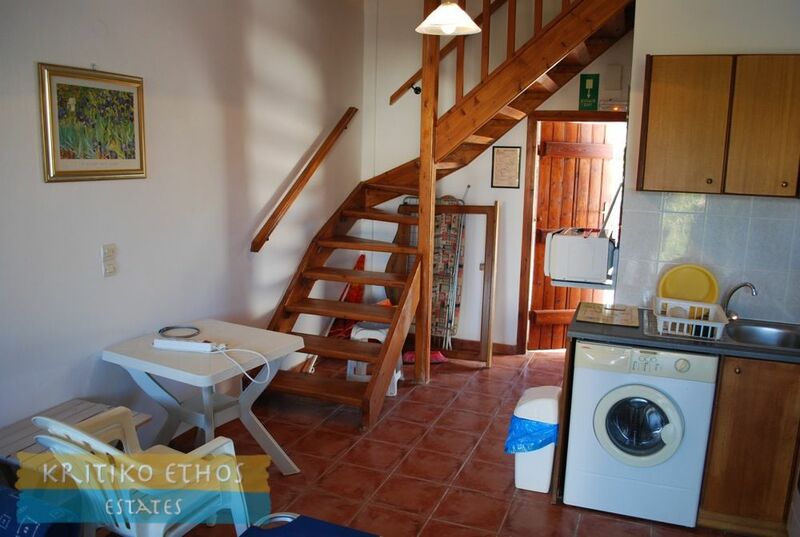 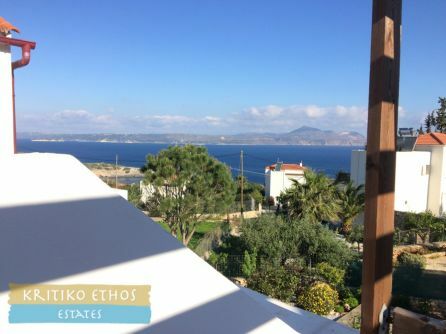 This great 45 sqm holiday home is situated high above the sea and offers excellent sea views as well as a very pleasant shared swimming pool. 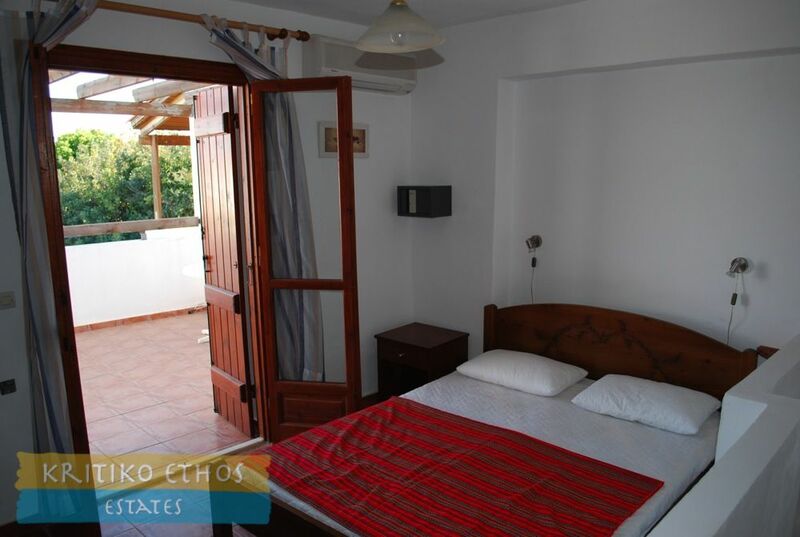 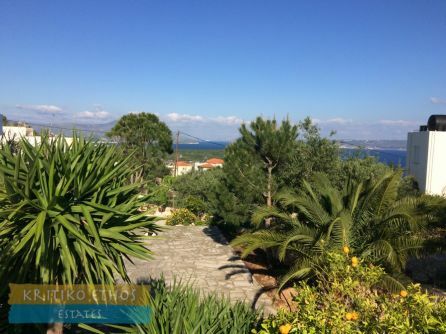 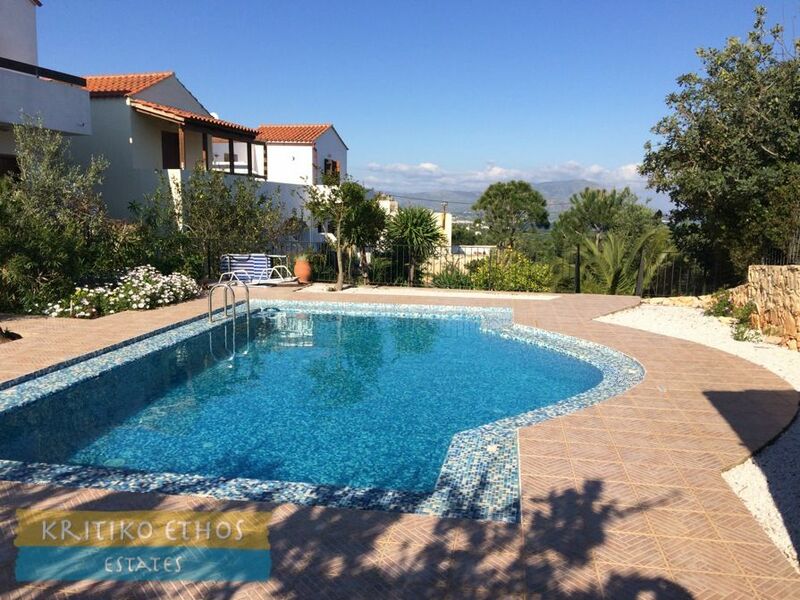 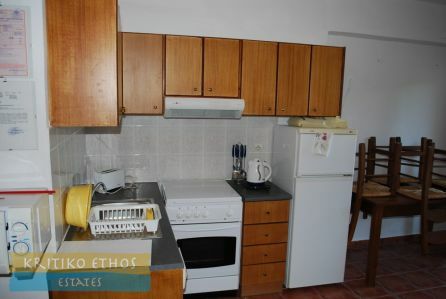 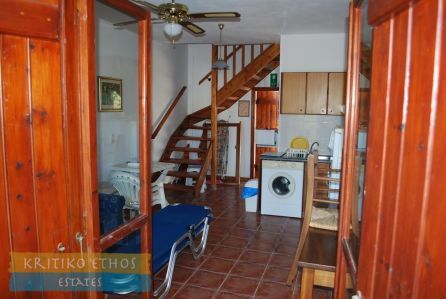 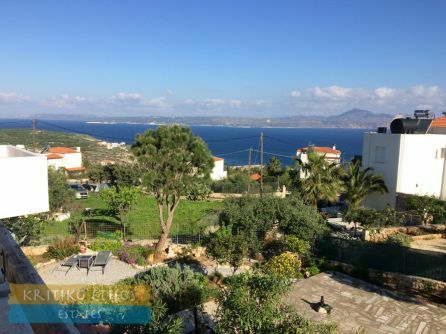 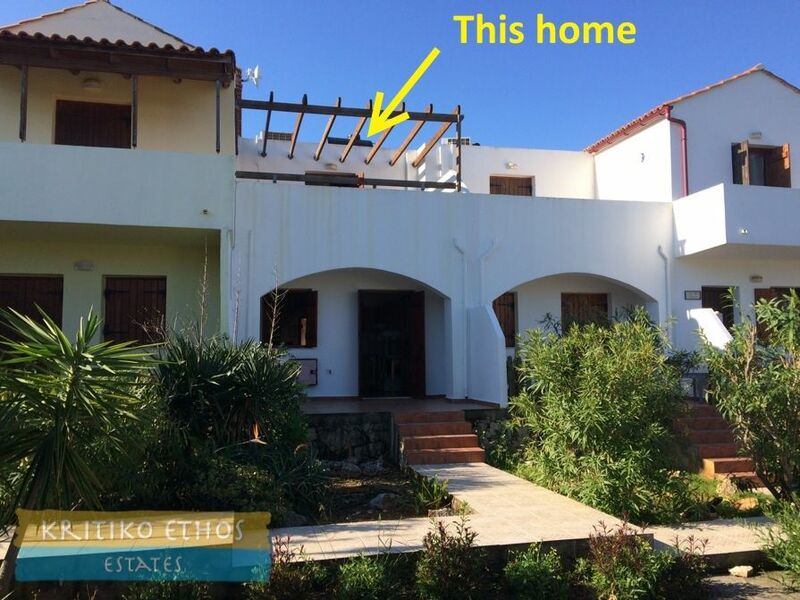 The home is just a short drive from Kokkino Chorio and Plaka as well as the fine beaches at Almerida and Kalives and offers excellent rental opportunities as well. 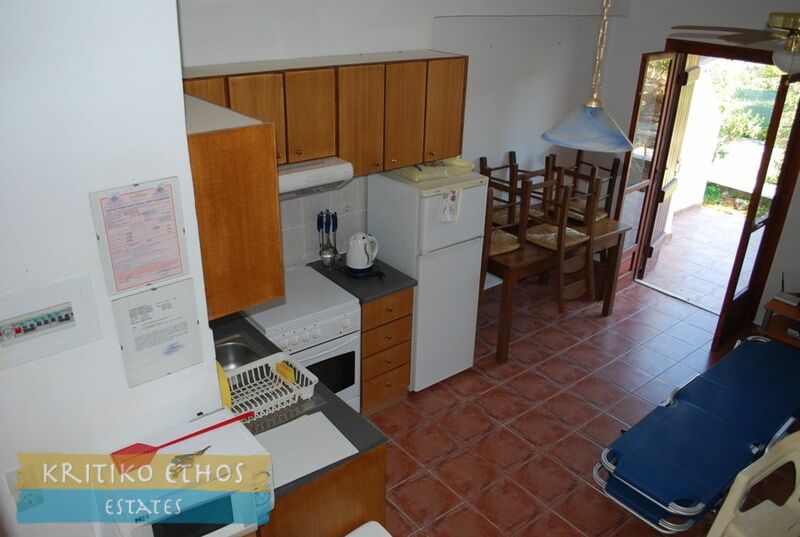 The ground floor comprises an open plan kitchen, lounge, and dining area plus a shower room. 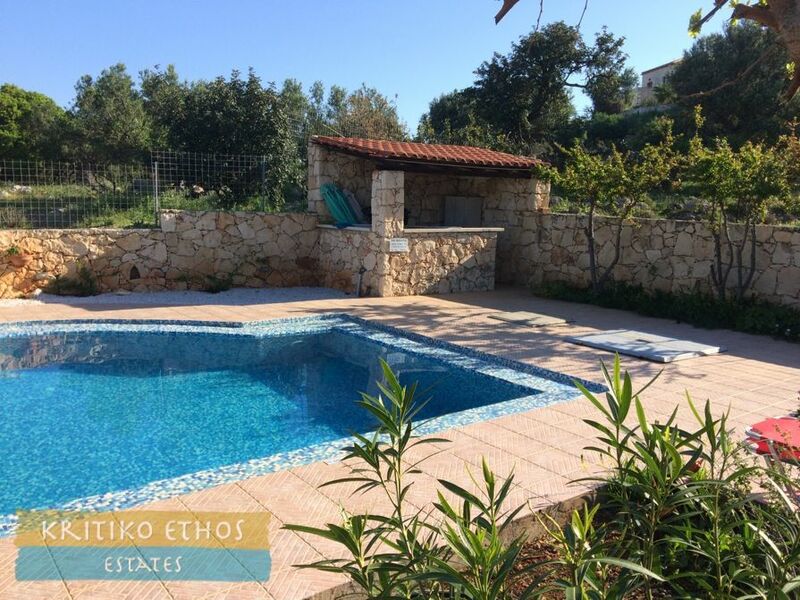 French doors lead to the broad covered front veranda with pleasant views to the well-maintained communal gardens and pool terrace with BBQ. A total of eight holiday homes share the lovely pool. 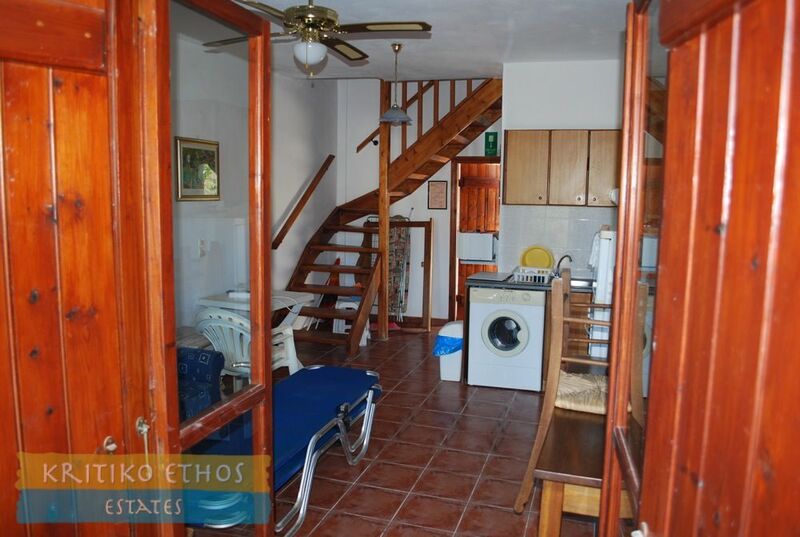 A wooden staircase leads to the first floor bedroom with its broad open terrace offering excellent views to the sea. The selling price includes all furniture, fixtures, and fittings ... fully furnished and ready to enjoy immediately!